Fashioning compelling stories even when the ultimate outcomes are already known can be a tall order, but when done well, it can still pack a punch. 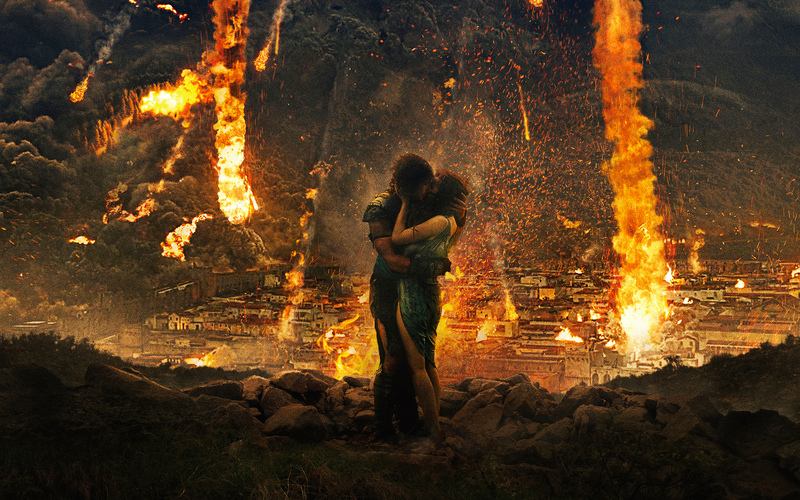 In this regard, Pompeii (2014) fails miserably; directed by Paul W. S. Anderson, it’s a film which takes cues from many a film before it while failing to improve on them in any way. Set in 79 AD, Pompeii follows Milo (Game of Thrones star Kit Harington), a gladiator whose family was slaughtered by the Romans when he was a little boy. Known as ‘The Celt’, Milo’s impressive fighting skills have him shipped off to Pompeii to do battle in the arena for the town’s citizens. Along the way he meets Cassia (Emily Browning), the beautiful daughter of a local merchant. Cassia is unwillingly being courted by corrupt Roman senator Corvus (an awful Kiefer Sutherland), the same man responsible for his family’s death years before. As Mount Vesuvius erupts, Milo teams up with rival turned ally Atticus (Islington-born actor Adewale Akinnuoye-Agbaje) to rescue Cassia before the volcano destroys the entire city.